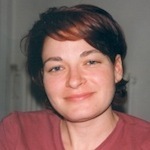 Emmanuelle Cronier is a Marie Curie Fellow at the Centre for War Studies, University of Birmingham. In her doctoral research on Leave and soldiers on leave in Paris during the First World War, she adopted a holistic approach to First World War societies, adressing issues such as combatants' morale, social and family bonds, identities and wartime moral hierarchies, or the transgressive behaviors of the soldiers. She is currently working on First World War as a multicultural experience, exploring in particular food traditions as a support for morale among uprooted soldiers, and cross-cultural food issues.